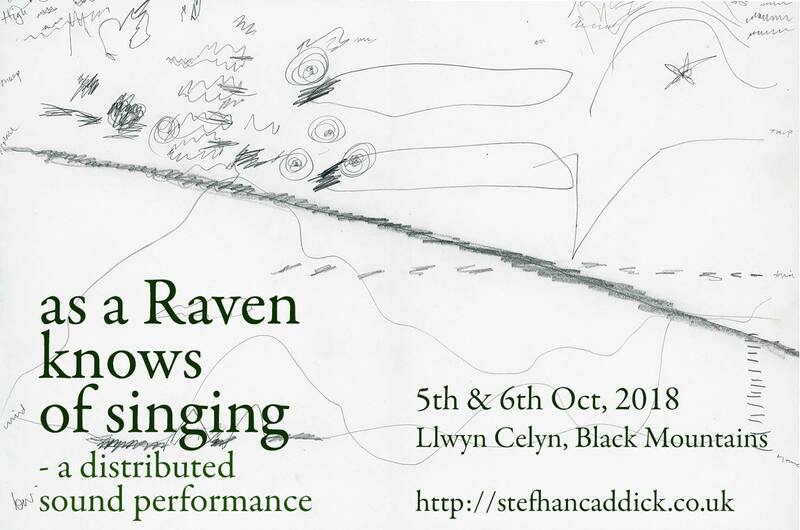 I’m looking for volunteer performers to take part in ‘as a Raven knows of singing’, a distributed sound performance which marks the re-opening of Llwyn Celyn, a medieval hall house near Abergavenny, which has over the last few years undergone painstaking restoration by the Landmark Trust. I’ve been working with composer Jobina Tinnemans to develop a new performance piece to mark the end of restoration and the start of a new chapter in the building’s long history. Using temporary sound sculptures, DIY instruments and voice we will be using the hills and valleys around Llwyn Celyn as a vast, distributed instrument. The performances are on the evenings on 5th and 6th October, 2018 at Llwyn Celyn. There will also be 2-3 rehearsals, in the weeks leading up to the performance. Ideally participants will be able to attend all the rehearsals, but there is flexibility about that. You don’t need any musical experience to take part, just enthusiasm!